John Adam Treutlen rose from the lowliest of beginnings to become Georgia's first Head of State. John Adam Treutlen came to America from Germany with his family as a ten-year-old boy. Like his parents, he was an indentured servant. They were to work for a few years to repay the expenses of their voyage. Treutlen’s intelligence was noticed by a local pastor shortly after arriving. Johann Martin Boltzius enrolled Treutlen in a school in the nearby town of Ebenezer. By his mid 30’s, Treutlen had established a successful mercantile business and purchased a plantation. He was selected as a Justice of the Peace, a position responsible for deciding small local legal disputes. Eventually, he received the important office of Commissioner and Surveyor of Roads. On top of this, he was sent to the Georgia Commons House of Assembly on the eve of Revolution. 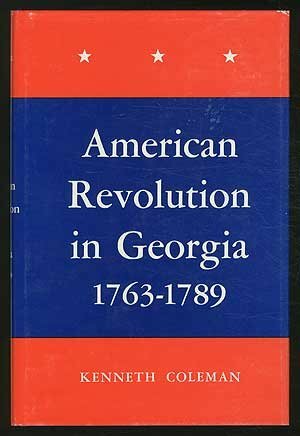 As the American Revolution began, Georgia was heavily split. Some of the rebels in the state were extreme. They considered their Patriots too conservative. John Adam Treutlen was a leader of these radicals. After independence was declared, Treutlen worked closely with Button Gwinnett and George Wells on organizing the new government. These three men were the main authors of the Georgia Constitution. Shortly thereafter, Treutlen was elected, by an overwhelming majority, as the first Governor of Georgia. During the American Revolution, politics in Georgia became increasingly violent. Several prominent members fought duels (and sometimes straight up murdered one another). Treutlen became a victim of this violence. As the Revolutionary War drew to a close, five men approached Treutlen’s house at night. They demanded he come outside. When he refused, they set his house ablaze. This forced the Treutlen family to escape the house. The small mob attacked Treutlen, murdering him in front of his wife and children. The real shocking part of this event is that the mystery is still unsolved. Despite the great documentation left for us by the people of the 18th century, there is no agreement on who killed Treutlen and why. Some believe it was the conservatives in the government perpetuating the violence of the previous decade. Others claim it was Loyalists upset that Britain was going to lose the war, and they would have their property confiscated. Still more believe it was people from South Carolina upset that Treutlen blocked their State’s merger with Georgia. Heck, there is even a chance it was simply revenge over something personal. No matter the cause, it was a violent end to one of the premier Founding Fathers from the State of Georgia. 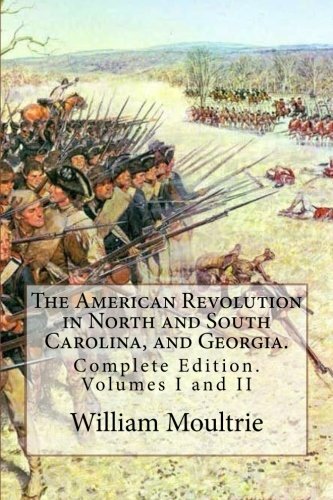 While there is no one difinitive biography of John Adam Treutlen, these books regarding the American Revolution in the South contain a substantial amount of information on him. Links take you to Amazon, our affiliate.